Istanbul is, indeed, the place for identifying with the beauties and stupidities of different worlds simultaneously. A timeless cliché, but true: Istanbul is a cradle of dualities. Here, not only East and West but also informal and formal, tolerance and clash, centre and side-line, nature and culture blend effortlessly. The rural exodus into the rapidly industrialising post-war Istanbul is the main dynamics shaping the city today. This uncontrollable influx has raised the citys population from 4 to 14 million in the last 25 years. This meant that inhabitants of Istanbul, poor and rich, had to compose their own city. And gecekondu is the key word the visitor needs to know; it means landed by night. Settlements built by night are the reality behind many of Istanbuls neighbourhoods, even in todays affluent legal areas. The city authorities have tried prohibition, rehabilitation and legalisation processes, and developers have transformed settlements into dense city fabric with multi-storey apartment buildings in districts of the city that are open-to-speculation. Worth a visit is the cosy green oasis of Karanfilkoy (Carnation Village), a magically preserved gecekondu settlement next to the financial district of Levent. Or a day trip to Gulensu, an informal hilly neighbourhood with great views of Princess Islands in the Asian periphery of Istanbul. With its scenic terraces and earthquake-proof soil, this settlement is feeling gentrification pressures initiated by local government. In 2004, the politically active community halted the urban transformation plans of the municipality with over 7000 petitions. With the help of volunteer academics and students they even started imagining the future of their neighbourhood. As you the stroll along steeply inclined streets, you may bump into Riza, one of the neighbourhood activists, who will explain how urban agriculture can become the future of his urban village. The citys planning may have been disorganised and complex in the past, but planning processes are now starting to shape Istanbul. Current plans include large-scale infrastructure projects such as Marmaray, a third bridge over Bosporus, grand renewal schemes for the former industrial boroughs of Kartal by Zaha Hadid and Kucukcekmece by Ken Yeang. The best physical representation of this ongoing process today is the office of IMP, Istanbul Metropolitan Planning, in Beyoglu. The workplace is one large underground space filled with planners and designers who are working non-stop with AutoCad on the future of Istanbul. Take the trouble to find the place, which evokes office scenes from Terry Gilliams Brazil. Planning is not the only field experiencing extremes. 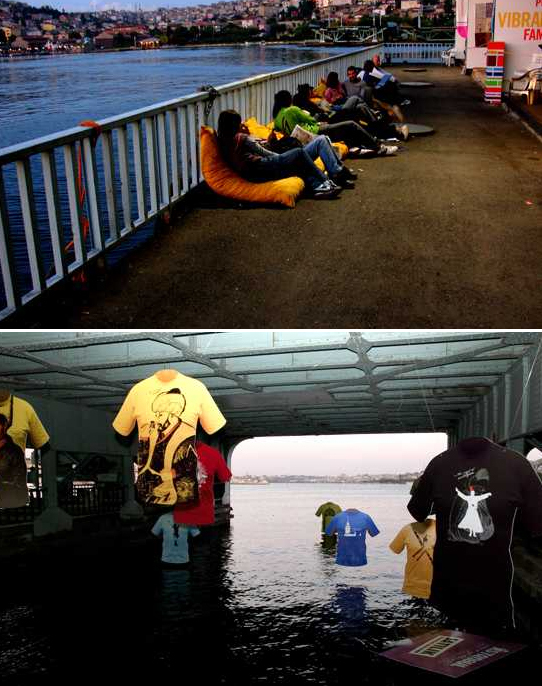 Istanbul lets you taste radical opposites in the political, religious and economic realms. The city boasts the largest Jewish community  they were either expelled from 15th century Spain or fled from right-wing regimes in the 1930s  in an Islamic country. Kuzguncuk, Fener, Balat, Ulus and Galata are the most well konwn neighborhoods. 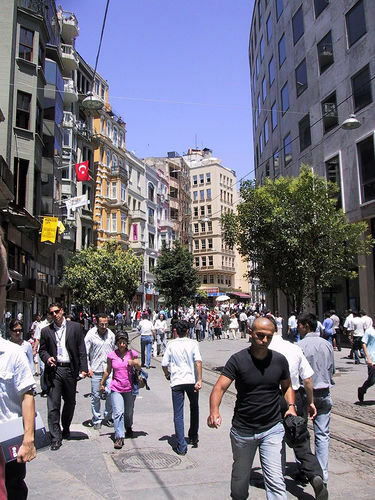 These districts are easy to visit and are just a 10-minute-walk form the unavoidable Istiklal Avenue. Istiklal is Istanbuls 24/7 throbbing heart for young and old, rich and poor, foreign and local, tourist and immigrant, educated elite and unemployed peasant. After these examples of tolerance, its difficult to avoid the painful reality of conflict represented by the square of resistance located right on Istiklal. This square in front of Galatasaray College was home to Saturday mothers who demonstrated against the state to find family members who have disappeared in the countrys political conflicts. The growing number of gated communities reflects Istanbuls economic discrepancies. Kemer County, Optimum or Bahcesehir are good destinations if you fancy exploring Istanbuls nouveau riche. The last of these is an interesting case when considered in its larger context. The underlying process is simple. An expensive and exclusive neighbourhood first emerges, followed by a second and third wave of urban development. The second brings in middle- and higher-middle income groups in communal-looking housing blocks that we see in Esenkent. 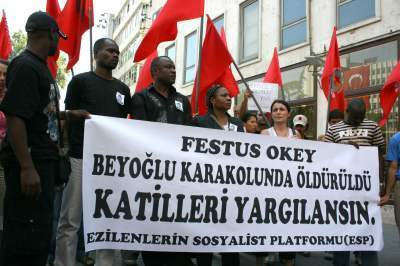 The third wave involves highly marginalized informal and illegal districts like Altinsehir. What Bahcesehir and Esenkent have in common, apart from the motorway infrastructure connecting them to downtown, are abundant shopping malls, bodyguards and the cleaning ladies from Altinsehir. The rarely discussed but rapid urbanisation is bringing Istanbul to the attention of investors from the Gulf Region, Western Europe and America. After a century of relative stagnation and patiently waiting beside the prosperous West and the ‘axis of evil’, Istanbul is about to take off. In its ‘Emerging Markets 2008 report’, PricewaterhouseCoopers refers to the city as the India of Europe. Figures from Mercer research place it in the top 20 most expensive cities in the world. 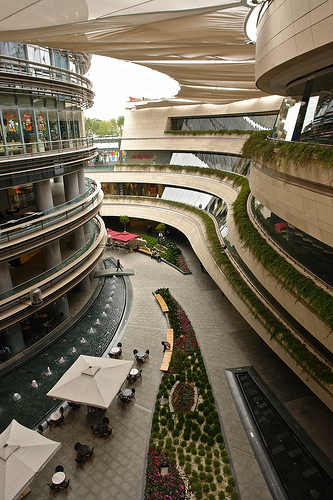 For evidence of this trend check out the Meydan shopping mall in Umraniye by FOA or the Kanyon on Buyukdere by Jerde and Tabanlioglu. A tour through the districts of Cihangir, Galata, Asmalımescit and Haliç will give you a good idea where foreign investment ends up in Istanbul. To complete your gentrification tour, stop off on French street (Algeria Street before 2004) to sip a French coffee with cognac. 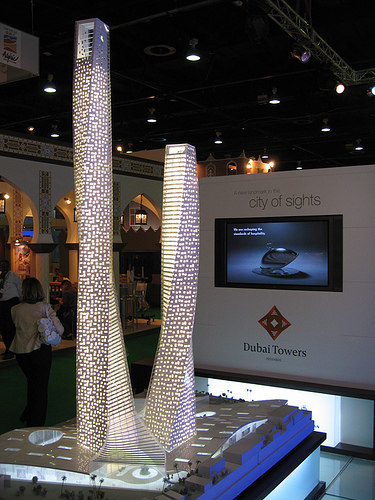 And next time you visit Istanbul maybe you can watch Dubai Towers rising, a 500-million-dollar investment by Sama Dubai currently waiting for approval from the city. Pamuk's quotes are taken from the lecture he held when accepting the Nobel Prize. 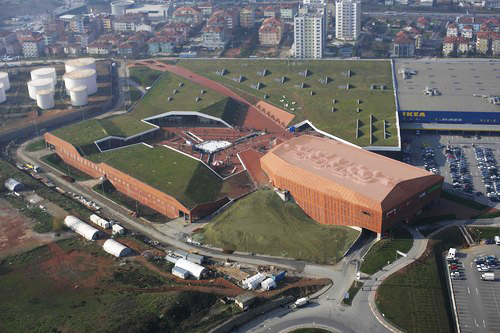 In the October 2008 theresponsivecity.org will organise an on-site master class in Gulensu. Theories of complexity and self-organisation will be the framework for this research/design workshop. Please visit www.theresponsivecity.org and www.newtowninstitute.org for more information. An artwork by Kutlug Ataman focused on the inhabitants of an informal settlement called KUBA in Istanbul commissioned by Artangel.